The weather will turn cooler – eventually – and your heating, cooling, and ventilation (HVAC) system become the most important appliance in your home. However, if it’s running badly, that means less comfort and higher energy bills for Florence homeowners. The biggest energy expenditure for homeowners is usually heating your house and producing warm water, so you can ensure your house heating bill remains as sensible as possible by supporting your heating and cooling system and keeping it running properly. Make it a point to do these preventative steps in the fall to help keep your HVAC system running efficiently throughout the winter. This way, you can conserve money to be enjoyed in other ways throughout the holiday. 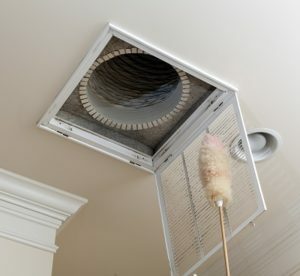 Replacing the air filter on a monthly basis is among the most important things you can do to support your HVAC system. It’s also among the simplest. The filter should be examined every month and changed if it is dirty. Filters ought to be replaced at least every three months – no matter what. Stay up to date with this basic job by picking a routine day to examine the filter, such as the first or last day of the month. The very same day the filter is changed is also a good time to walk around the house and vacuum off the air vents. This keeps them tidy and allows warm air to stream freely, relieving temperature levels throughout the home. Annual service of your HVAC system ensures it runs appropriately. Homeowners must have the system checked in the fall to best prepare it for the demands of winter. Air Professionals of SC has service packages just for this purpose. Changing the house’s HVAC system is an expensive proposition, however, if your system is old and ineffective, the added convenience and monetary benefits of a new system can be very real. Is your heat pump more than 10 years old? Then you need to ask your local HVAC professional to check your system. Replacing it with an Energy Star design might minimize your house’s yearly energy costs by as much as 30 percent. Adding more insulation to your attic is one of the best ways to help your system to operate at its peak performance and to decrease energy bills. Consider hiring a home improvement company to add insulation that will keep warm air in during the winter months. This will help your HVAC unit to run less frequently and still maintain the desired temperature in your home. According to US EPA’s energy star program, a basic visual test can be conducted to determine if more insulation is needed. The insulation should hide the floor joists from view. The right temperature level inside a home depends mostly on who is there at the time, when no one is in the home, the ideal temperature level can be considerably lower than a standard “living area” temperature level. Many Florence homeowners nevertheless fail to change their thermostats when they leave their house because they don’t want to return to a cold home or they simply forget. Installing a programmable thermostat in your home gets rid of these issues completely. This technology enables you to set the temperature in your house for each hour of the day, and it will keep to that schedule 24/7. Plus, depending upon the unit (like Nest, for instance!) you can even adjust the temperature from your smartphone, suggesting you can modify the settings of your house thermostat wherever and whenever you might be. Call Florence HVAC Experts to schedule a time to review your HVAC system and make a recommendation for maintenance before the winter winds blow.